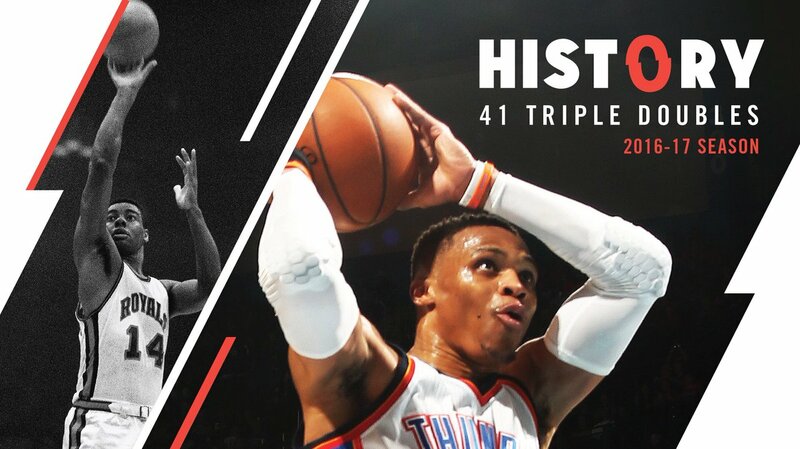 Russell Westbrook has Tuesday evening (local time) with his 41st ‘triple-double’ for Oklahoma City Thunder in the regular NBA season, the record of Oscar Robertson from the season 1961/1962 matched. The point guard won against Milwaukee Bucks again in the double digits in the three main categories: 12 points, 13 rebounds and 13 assists. Westbrook played in the Chesapeake Energy Arena in Oklahoma City, only 27 minutes against the Bucks. Thursday he gets the chance to set the record of Robertson, who are the record established in the service of the Cincinnati Royals, to improve. Oklahoma City will be playing against Memphis Grizzlies. Golden State Warriors posted against Minnesota Miss his 64th win of the season. It was 121-107 with Klay Thompson as the top scorer for the Warriors. He made 41 points. Defending champion Cleveland Cavaliers calculated with the Orlando Magic: 122-102. Kevin Love was good for 28 points. All-star LeBron James delivered a triple-double: 18 points, 11 rebounds and 11 assists. San Antonio Spurs had an extension need to win Memphis Grizzlies: 95-89. Kawhi Leonard was brilliant for the Spurs with 32 points.